Arrive at Benazir Bhutto International airport Islamabad. Meet, assist & transfer to the hotel. AM at leisure. PM Islamabad city tour. Our sightseeing tour will start from, Faisal Mosque, Shakar Parian & National monument with a trip to Damn-e-Koh, to catch an eye bird view of the twin cities. Overnight at the hotel. (No meals). After breakfast drive to Chilas. It will be a full day travel on the Karakuram Highway; will take about 9 -10 hours to reach Chilas. Chilas was on the ancient caravan track over the Babusar Pass into India and on the Indus trail of Besham, and many rock engravings/impressions were left by travelers in this area. Chilas is standing under the shadow of world famous Killer Mountain Nanga Parbat. Upon arrival transfer to the hotel. Overnight at the hotel. (Breakfast only). After breakfast drive to Skardu. It will be a full day travel on the Karakuram Highway & Skardu road will take about 8-9 hours to reach Skardu. 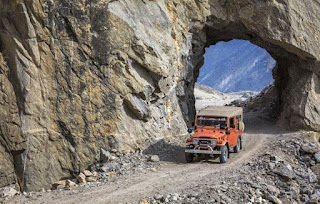 The drive to Skardu leads one through a varied landscape, River Gorge, Desert and views of mountains such as Nanga Parbat and Haramosh. Perched at a height of 7,500 feet, is located amidst an impressive landscape, high mountains, deep gorges, cascading waterfalls, creeping glaciers and quiet lakes constitute this rugged beauty. Skardu is in the heart of a dangerous frontier land. To its north lies the Xinjiang province of China; to the south Kashmir, to the West Gilgit, and to the east the district of Ladakh in India. Skardu is the trekker and mountain climbers’ paradise. Upon arrival transfer to the hotel. Overnight at the hotel. (Breakfast only). After breakfast proceed to Askoli in jeeps. 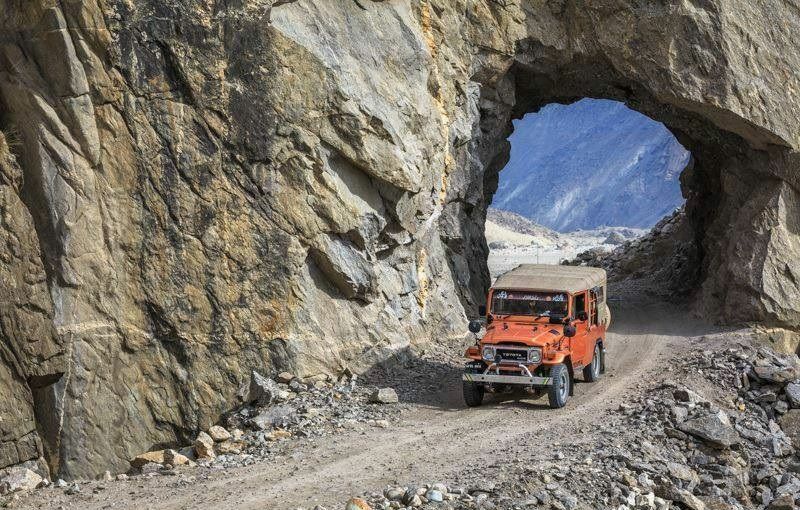 It takes about six hours to drive from Skardu to Askoli. Askoli is the last village of Shiger valley before going to Baltoro trek. The drive through the Braldu Gorge is guaranteed to knock your socks off! Pack Lunch on the way, Dinner will be in the camp, overnight in tents. (Breakfast, Lunch & Dinner). After breakfast trek to Julla. After crossing Biafo Bridge we shall proceed towards Korofong, where we shall have lunch and continue to Julla. We shall reach Julla in 6~7 hours from Askoli on a nice made trail. Julla is a newly built camp site by MGPO (Mountain Glaciers Protection organization), where we have such nice camping facilities, Toilets, Bathrooms, Sinks and nice camping facility. Overnight and meals in tents. (Breakfast, Lunch & Dinner). After breakfast trek to Bardumal. We will proceed to Bardumal in nice early morning. Julla to Bardumal 5-6 hrs trek. Here the trail is comparatively easy, with irregular bare mess up across the rock. The altitude is about 3,300 meters. Overnight in tents. (Breakfast, Lunch & Dinner). After breakfast trek to Paiju. Bardumal to Paiju 4-5 hrs trek. Paiju means salt in Balti language. This is a rolling walk, difficult at times, which the first views of dramatic mountains ahead. There is a rest stop by some tamarisk trees besides the stream flowing down from Paiyu Peak. Camp site is very well managed by MGPO (Mountain Glacier Protection Organization), with really nice facilities. This is the last camp site before Concordia where we see trees and green surface. We usually have rest day here, we rearrange all our items for next week, meanwhile porters make breads and other necessary food items, as it is very difficult to cook there items on the Glaciers. The site is always crowded. Overnight in tents. (Breakfast, Lunch & Dinner). A full rest day in Paiju for porters where they cook (Khurba) Bread for the coming days on the Glacier. An optional familiarization trip can be arranged for the interested clients up to 4000 meters on Paiju peak. Overnight in tents. (Breakfast, Lunch & Dinner). After breakfast trek to Khuburse. A short walk from camp we climb up on to the snout of the glacier easily. The porters are very experienced and they pick the way by themselves, it’s always difficult to have established trail on the glacier. Our experienced guide insures that we find our way to camp at suitable place. Overnight in tents. (Breakfast, Lunch & Dinner). After breakfast trek to Urdukas. (Khuburse to Urdukas is 4-5 hrs trek. Along the side of Baltoro glacier we climb up towards Urdukas which is itself a lush Green Area with lot of flowers and huge bloders. 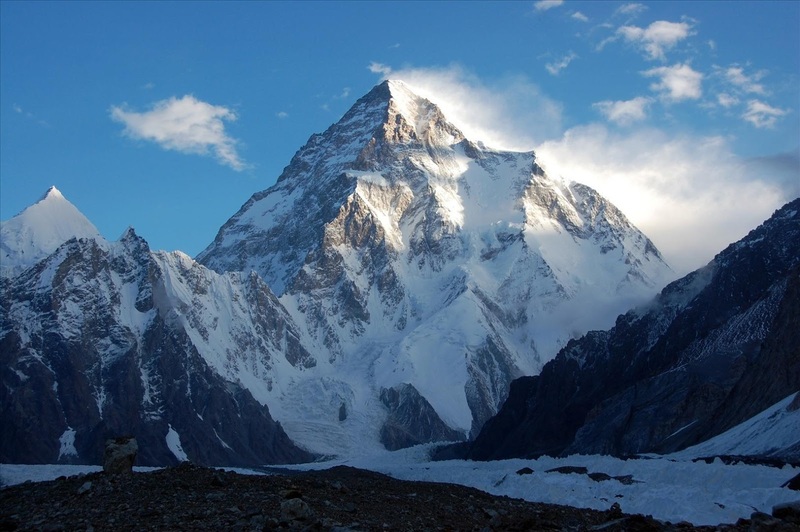 Urdukas is one of the best caming sites in the Baltoro Valley with all modern Camp facilities. This is the most favorite camp site of many trekkers, from Urdukas you have the best View of Paiju Peak, the Trango towers, Uli Biaho towers lubsang Sphere rise above the glacier, dominating the horizon. Here we have the best opportunity of getting acclimatize ourselves by walking and getting trained and used to of rope, as we are going to be roped by climing up to the Ghondogro La Pass. Overnight in tents. (Breakfast, Lunch & Dinner). After breakfast trek to Goro. Urdukas to Goro is 6-8 hrs trek. Crossing the Baltoro we pass under Mashabrum Peak. Throughout the day there are incomparable views of Mustagh towers and of the peaks surrounding Concordia. Overnight in tents. (Breakfast, Lunch & Dinner). After breakfast trek to Concordia. Goro to Concordia is 6-7 hrs trek. Concordia is the closest door to see the Nature. A long glacial walk to Concordia. The 360 degree view is incredible, K-2, Broad Peak, and Gasherbrum IV. Sia Kangri, Miter Peak, the Golden Throne and a number of other peaks. Overnight in tents. (Breakfast, Lunch & Dinner). After breakfast day excursion to K2 Base Camp. Overnight in tents. (Breakfast, Lunch & Dinner). After breakfast, trek from Concordia towards Vigne Glacier. Enroute one will have good views of the Chogolisa Group (7150 to 7665 m) As well as Baltoro Kangri (7321 m) Conway’s Saddle (5974 m) and Sia Kangri (7433 m).The day’s walk will mostly be on white glacier, approximately 5-6 hrs. Overnight at Ali Camp. (Breakfast, Lunch & Dinner). In the midnight we have to get up and have an very early breakfast. Start ascending Gondogoro La 5,860 m and descend to Hispang. 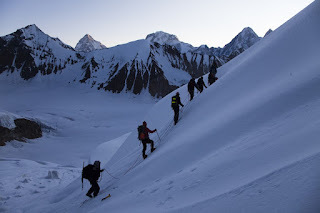 We have to be on the Top before sunrise as its very dangerous to descend late or after sunrise. We will be using rope for ascending and descending, as there is a fixed rope by rescue Team. After early reach at the camp site we will have a great rest as we met our target of crossing La. Overnight in tents. (Breakfast, Lunch & Dinner). After breakfast trek to Dalzampa. On the other side of La we see totally different scenario as we have lush green pastures and we see many Yaks, Cows, and many cattle on this side. Dalzampa is a beautiful summer pasture, where one can see YAK grazing. Overnight in tents. (Breakfast, Lunch & Dinner). After breakfast continue descent to Sciacho. Sciacho is the first place where one can camp in juniper tree with clean worm water. From here we can go to K6 and K7. One can enjoy the musical evening arranged by the camp organizers. Overnight in tents. (Breakfast, Lunch & Dinner). After breakfast trek to Hushe. This is last walking day rather the last day of the memorable trek. Hushe Village is the Last village of the Valley, which is very beautiful place but was very poor before the initiation of trekking groups. As it is too high for fruit trees double cropping, the villagers survive on sparse crops of wheat, barley, potatoes, peas and turnips -as well as their herds of animals. It is strange to see habitation as the villagers gather around us. We shall have quite enough time to clean up and washing the really dirty cloths as its really nice water in Hushe. And you can have Soft drink in Hushe village shops, it gives you real taste I dare. Overnight in tents. (Breakfast, Lunch & Dinner). Upon arrival transfer to the hotel. Overnight at the hotel. (Breakfast only). After breakfast transfer to Skardu airport for flight to Islamabad by PK-452 (Subject to weather flight). OR PM at leisure in Islamabad/Rawalpindi. Overnight at the hotel. (Breakfast only). (Incase of flight cancellation drive to Besham via Karakuram Highway, upon arrival transfer to the hotel). (Breakfast only). NOTE:- Confirmation of flight to/from Skardu is subject to weather on provisional bookings and confirmation of seat is expected one day before. 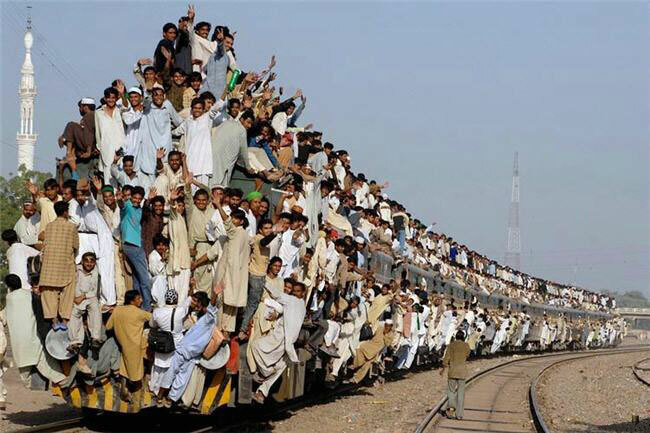 Confirmation depends on previous backlog. Breakfast at the hotel. Full day free at leisure in Islamabad or exploring surroundings such as Taxila or Murree hills. Overnight at the hotel. (Breakfast only). Transfer to Benazir International airport Islamabad for your home bound flight. (Breakfast only). 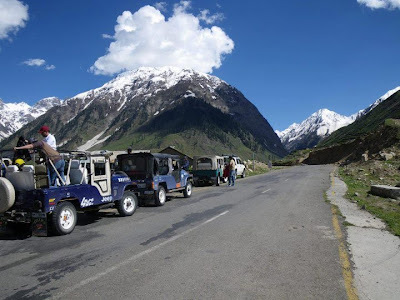 Pakistan is the ultimate destination for the adventure tours and for cultural tours. The northern parts of Pakistan are well-known for its natural beauty and the people are well-known for their hospitality. Tourism was the main income stream of the people of northern Pakistan before 9/11. Due to the political instability, war and terror in Afghanistan this area has been adversely affected indirectly.